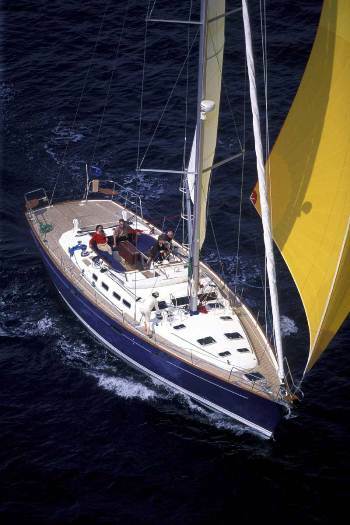 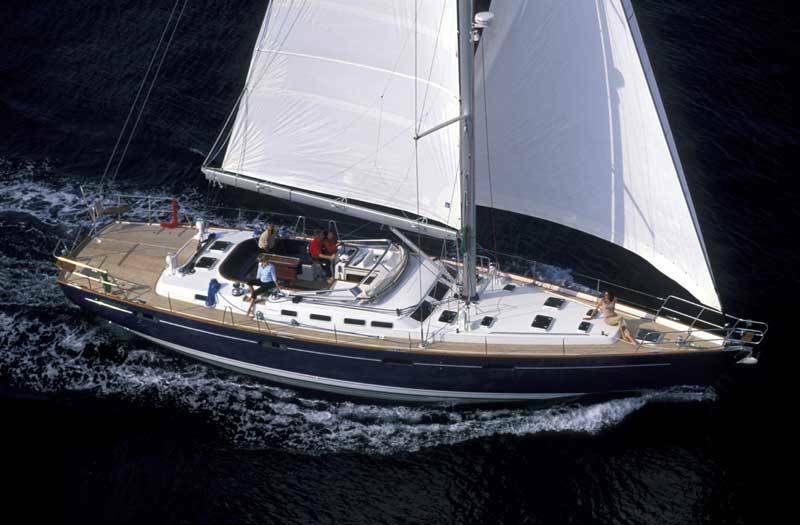 S/Y SEA STAR was built and launched by well renowned French Beneteau yachts in 2006 and measures 17.6 (57.8ft) in length. 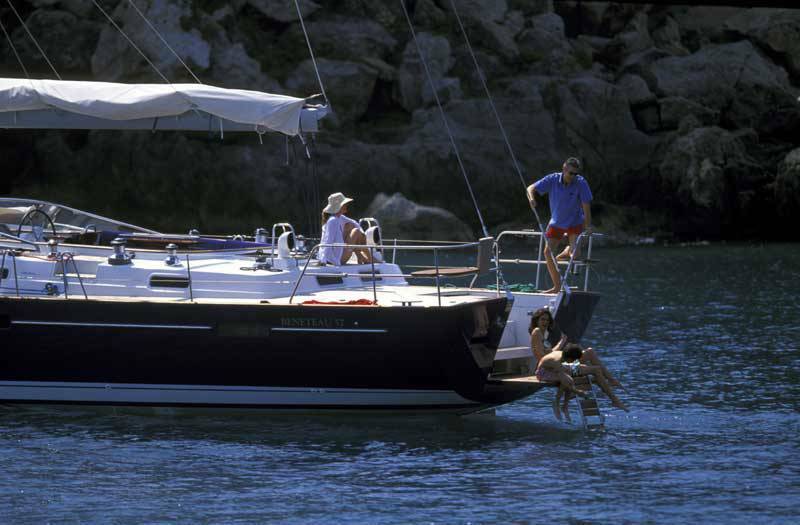 Charter yacht SEA STAR is available for yacht charters in the stunning East Mediterranean for up to 8 guests, offering 4 double en-suite cabins. 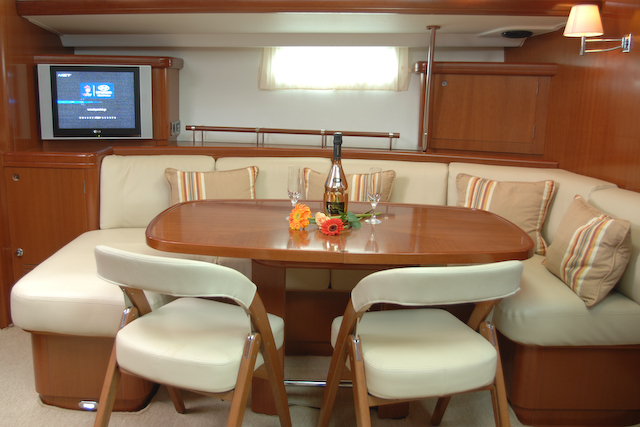 Sail yacht SEA STAR has a light, contemporary interior featuring an open plan salon and dining space, with warm cherry woods and supple leather soft furnishings. 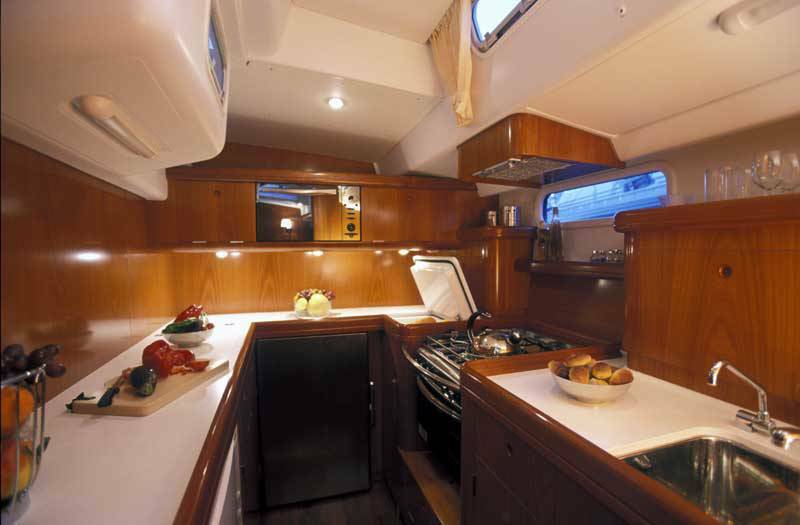 The galley is aft on the port side, providing a more spacious layout for guests. 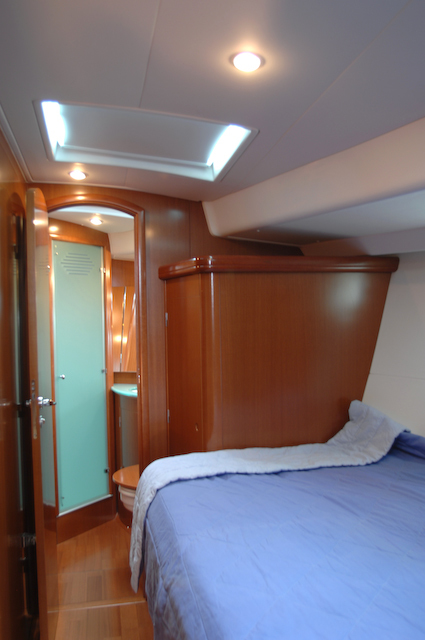 Guest accommodation is fore and aft of the salon in 4 cabins, each with plenty and natural light and ventilation. 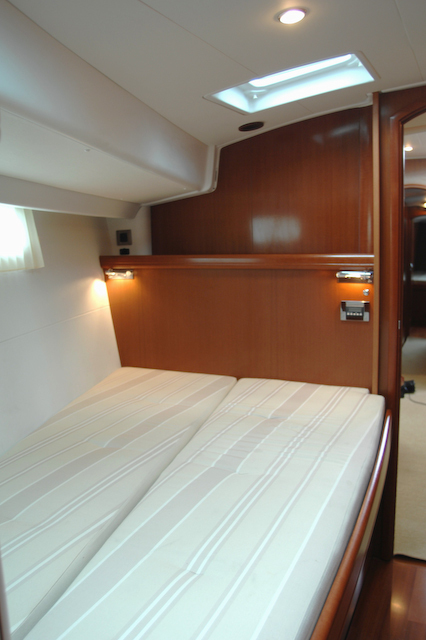 Alternatively the yacht boasts full air conditioning for optimum comfort. 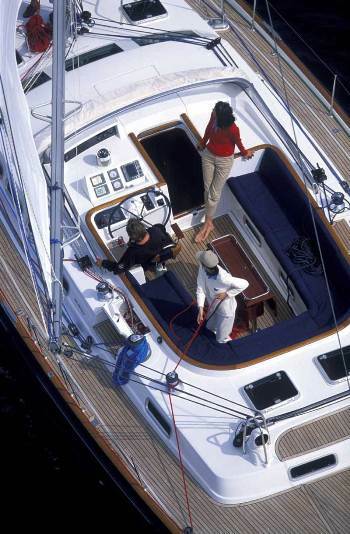 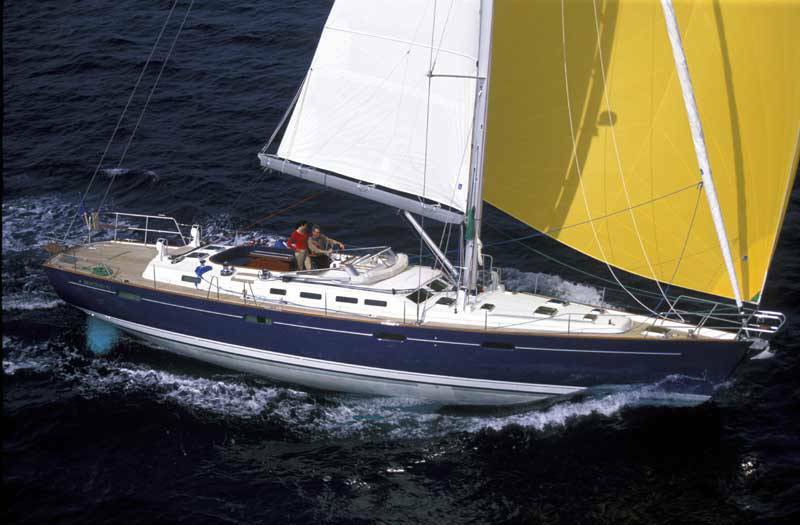 The SEA STAR sailing yacht is a center cockpit design, ideal for families with children. 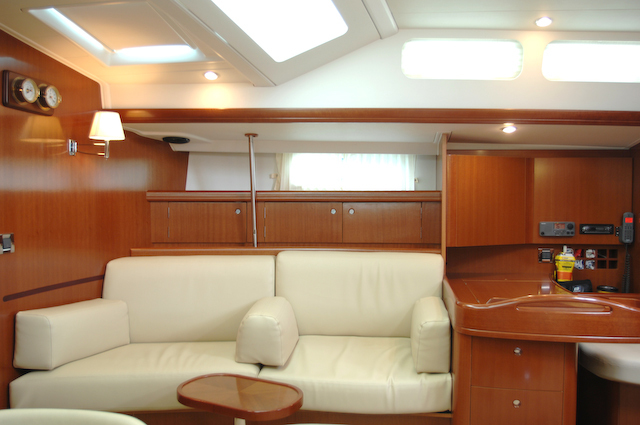 The cockpit is adjacent to the salon through the main companionway and offers plenty of seating, an alfresco dining option and removable Bimini cover. 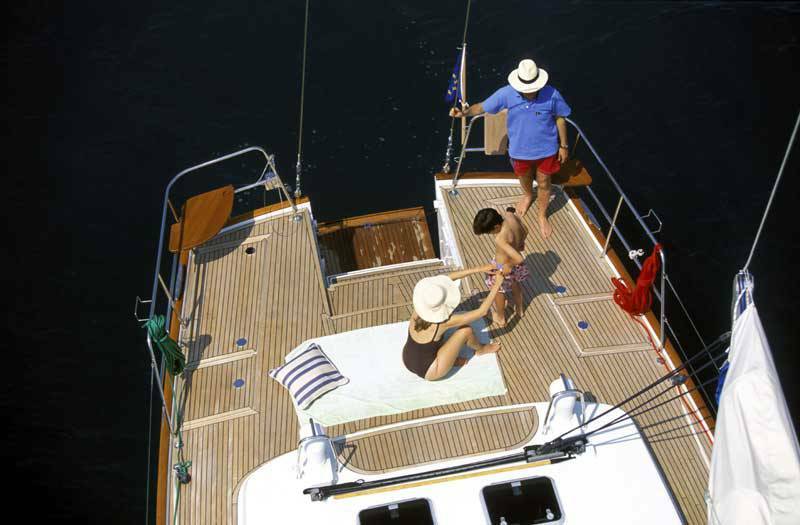 A generous aft deck boasts ample area to sun and relax, built in seating and a hydraulic swim platform, for effortless water access. 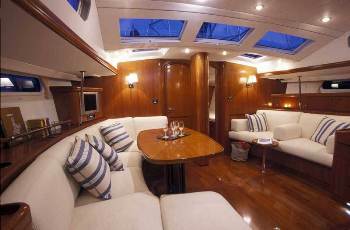 Guests may wish to relax on the expansive foredeck, ideal for an intimate escape or simply to watch the world go by. 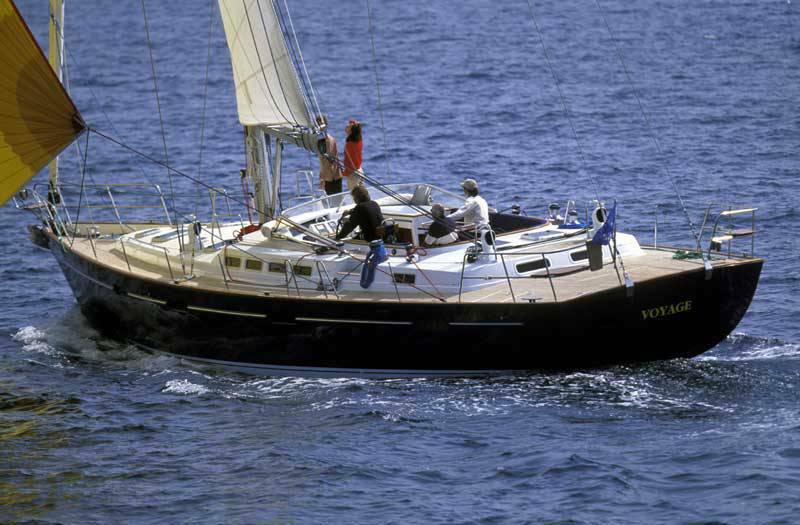 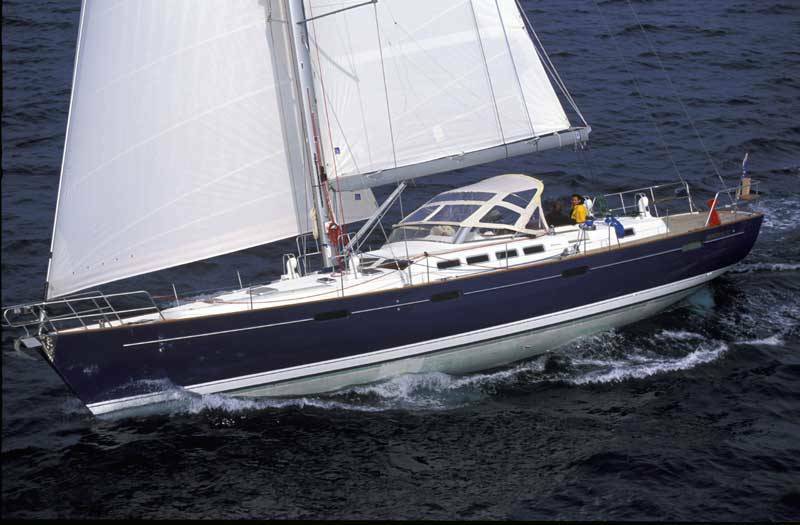 S/Y SEA STAR has a beam of 4.9m (16.4ft) and draft of 2.6m (8.5ft), she is powered by 1 x Yanmar 160hp engine. 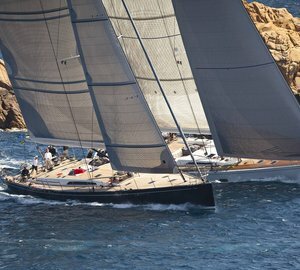 The yacht cruises comfortably at 8 – 10 knots. 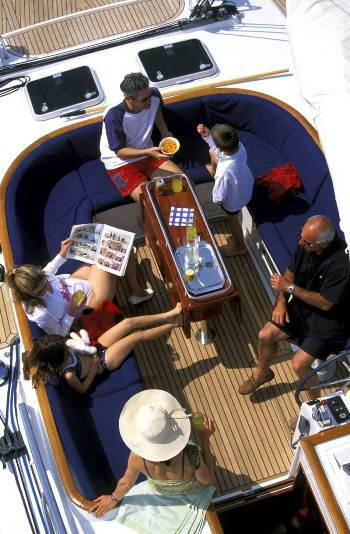 The SEA STAR charter yacht accommodates up to 8 charter guests in 4 double cabins. 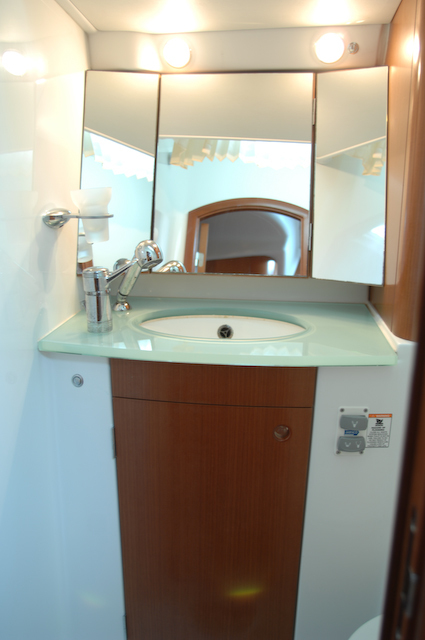 All 4 cabins offer ports and hatches for natural light and ventilation, plus private en-suite facilities. 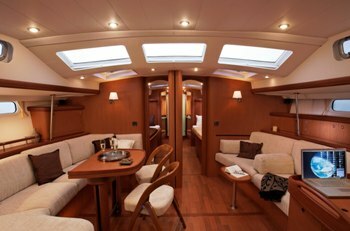 Two cabins are forward of the salon and a further 2 cabins are aft of the salon. 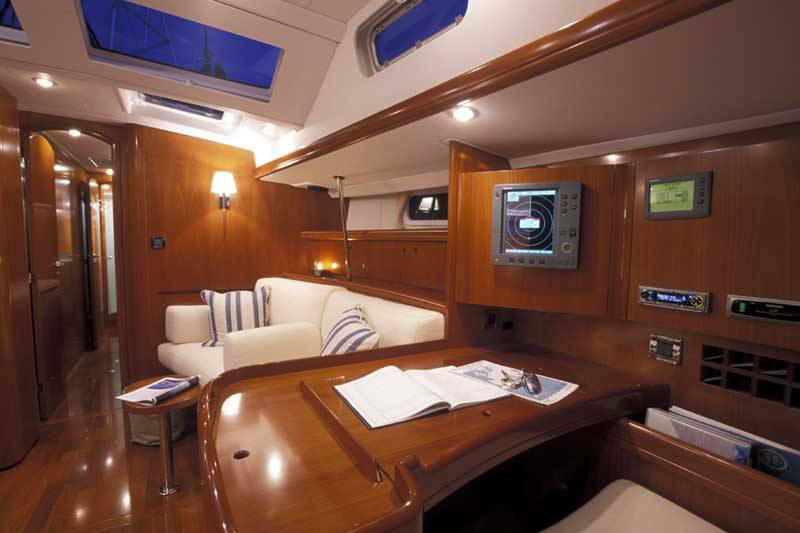 Audio Visual Equipment and Deck Facilities onboard the Greece yacht SEA STAR include a Radar, Aircondition, Electric fridge, Dish washing machine, water maker, TV, DVD, Radio CD, Inverter 4000W, GPS plotter Raython, Generator. 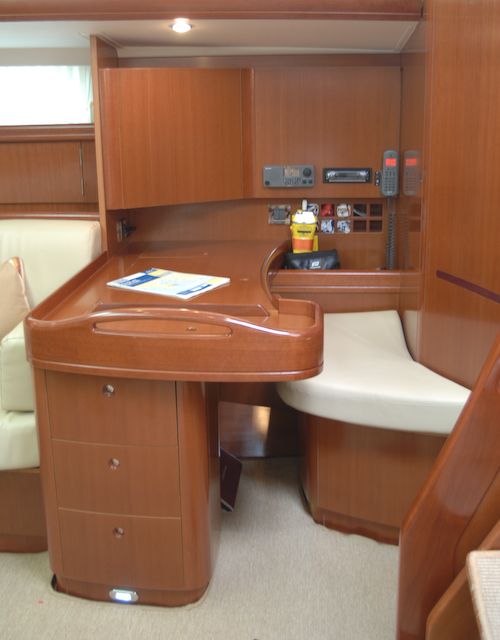 Cockpit teak table, cockpit freezer, hydraulic gangway, 2 carbon steering wheels, all electric winches, electric windlass 2000w, bow thruster 11W.